In an increasingly competitive landscape, mortgage brokers need to clearly articulate their value proposition to stand out from the crowd. In fact, I argue that you don’t just need any old value proposition – you need a Unique Value Proposition that stands head-and-shoulders above all other options. This article provides a how-to guide for creating a compelling Unique Value Proposition that will position you as an expert and help you attract more leads and clients. We’re going to use with this value proposition framework from Marketing Results to guide our discussion, before providing a specific worked example below. After helping dozens of mortgage brokers execute results-oriented marketing plans and lead generation campaigns since 2005, I’ve noticed that there are three broad UVP approaches that work well in the mortgage broking industry. The common principle to all three approaches is specialisation. It’s much harder and more expensive to get traction as a generalist than it is as a specialist. E.g. Property investors, first home buyers, professionals, business owners, expats, retirees, non-residents etc. E.g. Building loans, bad credit loans, commercial property loans, property investment loans etc. Some loan products map closely to a single client persona (aka profile). But in many cases, it’s ideal to map specific messaging to the specific client persona you’re trying to attract. As the below table shows – different products can appeal to distinct client personas, but the key benefits would be different. Again, there is potential overlap between loan products and client types. However, with the “strategy” approach, there are usually more moving parts that aren’t limited to just a loan product. Now let’s look at how this UVP Formulation Framework (in the infographic above, with the relevant section reprinted below) applies to a specific mortgage broking practice. The example we’ll look at is one of BrokerEngine founder Craig Vaughan’s brands, MAP Home Loans. 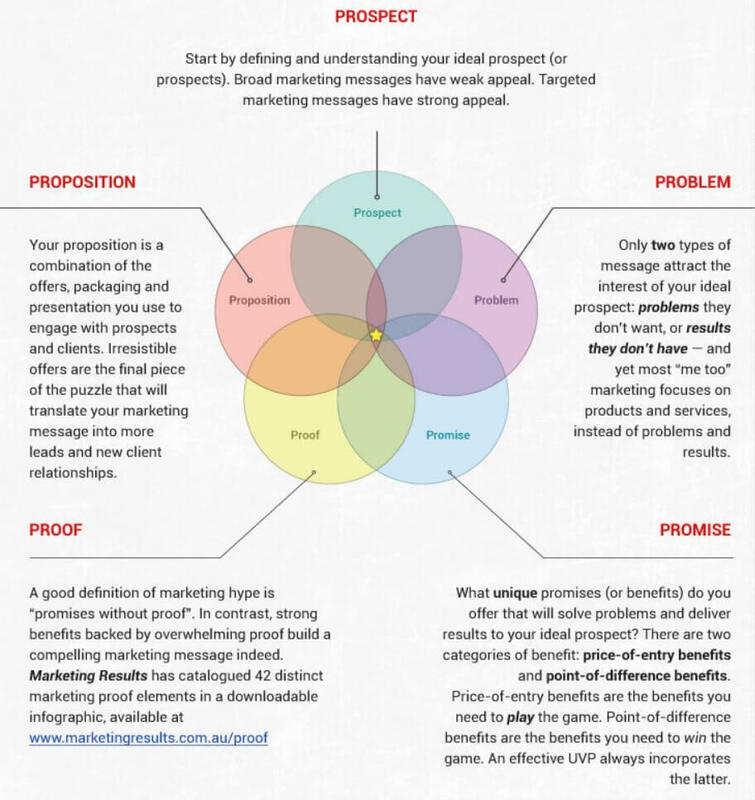 Let’s unpack each component of the value proposition, so you can see how the process works. The surface-level problem these prospects face is “I don’t have finance to buy a property and I want it”. But that’s the same problem that ALL banks and brokers are trying to solve. We now need to prove the promises expressed in the previous step. It’s important to ensure your proof elements support the specific promises made in the previous step. (For example, It’s no good to claim you’re a property investment specialist, if all your testimonials are from first home buyers). Your proposition is the combination of the offers, packaging and presentation you use to engage with clients. All of the above is the raw material that can now be compressed into a top-line UVP Statement. This is what this looks like for MAP Home Loans. Note that while a succinct UVP statement is important, it’s actually just the tip of the iceberg – there’s a lot of detail that lies below the surface. This includes core messages, landing pages, emails, lead magnets and more. But the net result is a rock-solid marketing foundation on which other strategies such as marketing automation and SEO can sit. Now it’s your turn to enhance the desirability and distinctiveness of your firm in the eyes of your ideal client. How does your Unique Value Proposition stack up? I hope you’ll use this framework to refine your UVP and let us know how you get on. 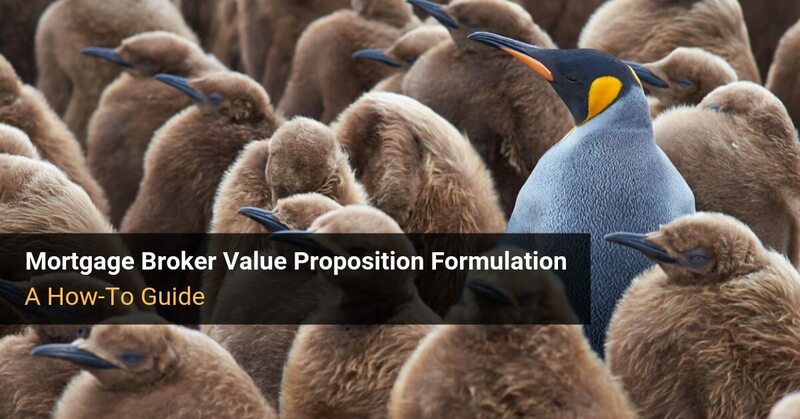 The process we’ve outlined in this blog post is very effective for formulating your UVP. But sometimes the problem is “woods from the trees syndrome”. It’s hard to get a solid perspective on your own business, because you’re too close. One of the things we do in our Practice Accelerator is to provide a valuable outside perspective. We can help you create (or refine) a compelling UVP so you can attract more AAA-grade clients at lower cost.